The best leaders are educated. They are perpetual students. They are humble enough to know that there is always more to learn. What makes them educated? Formal schooling is a mere teaspoon in a vast ocean of available knowledge. The best leaders are self-driven students of history and human nature. They take the initiative to read about human circumstances across the ages. Through their self-directed study, they’ve learned a key fact about people—we haven’t changed a whole lot since the dawn of mankind. We have the same fears and wants that have been pulling at our hearts throughout history. The swirl of life is simply faster in the 21st century. History is an inexhaustible font for learning and preparing yourself for any leadership career path. More material is added every minute. You’ve heard the trite old saying, “Those who do not know history are doomed to repeat it.” The quote is attributed to philosopher George Santayana and the original is actually, “Those who cannot remember the past are condemned to repeat it.” The statement probably shouldn’t be taken too literally, but it points to a fact about people. When placed under similar pressures with similar circumstances, people do tend to react in similar ways and that is true across the millennia of human history. For example, when power is concentrated in the hands of one or a few, it leads to abuses, corruption, and suppression of freedom. The Founding Fathers of the US knew this. Jefferson and Franklin were avid readers of history. During the Philadelphia Convention, Franklin had a gentle yet powerful hand in shaping the constitution through his knowledge of human history. His central theme was to create a constitution that would resist the rise of a despot. More than 450 years before Churchill, Niccolò Machiavelli, the Renaissance writer, historian, and politician observed the consistency of human nature. Whoever considers the past and the present will readily observe that all cities and all peoples… ever have been animated by the same desires and the same passions; so that it is easy, by diligent study of the past, to foresee what is likely to happen in the future in any republic, and to apply those remedies that were used by the ancients, or not finding any that were employed by them, to devise new ones from the similarity of events. At this point you’re probably wondering, how does this relate to me? I’m not founding a new country or leading a nation through a war. I’m just a manager in some company. How can I apply these ideas to my everyday job? Study human nature. That’s effectively what these titans of history were doing. The only difference between them and you is that they lived life on a much grander stage. You can apply the same methodology by studying respectable business leaders and their approach to building positive corporate cultures in addition to reading about historical figures. Engaging in a study of human nature will undoubtedly make you a better manager and leader. Books dealing with psychology are particularly insightful. You can try reading Freud and Jung, but if you’re like me, you’ll soon be grasping for sharp objects to stick in your eyes—simply to relieve the pain of their writing. Despite their brilliance, their writing style was a constant assault on simple language. Next time, I think I’ll try Freud and Jung for Dummies. In contrast, I really liked Alfred Adler’s Understanding Human Nature—The Psychology of Personality as translated by Colin Brett. It was a straightforward, easy read that I found extremely insightful. Although written in 1927, I found so much in this book that resonated with current times. 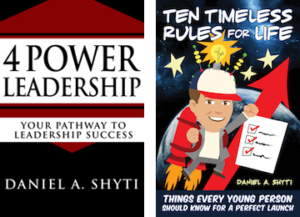 I can also recommend another “masterpiece” (with right arm twisted, delivering hearty pats to my own back), 4 Power Leadership, Your Pathway to Leadership Success by Dan Shyti. 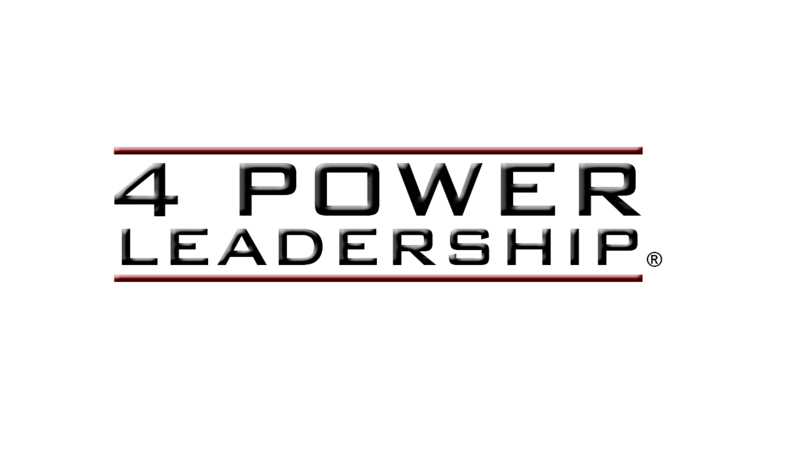 I wrote this guide specifically for the emerging leader. 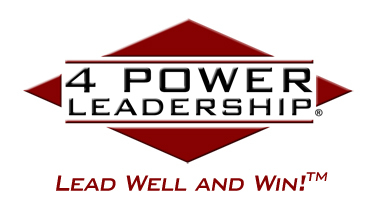 It will help you succeed in business life as you accept greater leadership responsibility. Once you’ve gained an understanding of general psychological propellants, study the currency of all the peers and subordinates with whom you interact. By currency I mean, what do they value most in exchange for job well done? In what way do they like to be rewarded? What motivates and excites them? How do they like to interact with others? Take a personal interest others based on what you learn. If you undertake this analysis, you’ll become much more skilled at creating productive relationships with most people— though some will choose to remain perpetually malcontent and unreachable. So there you have it, become a learned leader. Engage in the study of history, human nature, and the currency of those around you. Then ask yourself this important question—How will I use what I’ve learned? This article is the first in a series of essays I will write based on your random selection of any number between 1 and 50. For an explanation of how to submit your selection, visit my LinkedIn article, which you can find here.